Yes, the rental market is on fire! We’ve been hearing all over the country that rental inventory is low, and prices are on the rise. Everyone is focusing on this, while we should be looking at something far more important; tips to rent a condo in this market. Before this rental boom, the old rental market was like the pace in Ottawa, slow and steady. You could afford to be 10 minutes late because most people would not notice. Now, the new rental market is like New York City: a city that never sleeps and moves at a breakneck pace… don’t be late. Knowing is half the battle, the other half is doing. The same goes for the rental market. Far too often, we meet with clients who don’t know what they want. All they say is, “I want to rent a 1-bedroom condo”. Great, I’ll go find a needle out of a haystack while I’m at it. 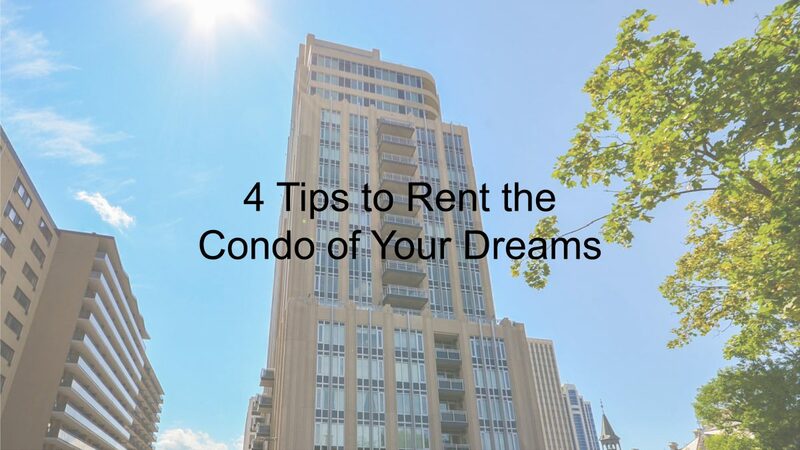 Point being, before you start looking for a condo, know exactly which neighbourhood you want to call home, have a short-list of buildings you like, get a good sense of what units rent for, and know when you need to move. Now that you’re all organized to start your search, you need to be flexible like a Slinky (click here if you don’t know what it is, you’ll thank me later). It’s super contradictory, but it’s the market we live in. 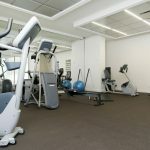 A unit in your dream building may not be available for April 1st, or it may be available; just at a higher price, or it may not be available at all. Worst case, you may have to rent something that’s not perfect, but it’s only for 1 year. When it comes down to it, stick to what’s most important for your condo and for the rest, be like a Slinky! We’ve seen too many instances where clients have lost deals because they weren’t prepared. I know what you’re thinking, “Zev, it’s a rental. I don’t have to be prepared. We go see a unit and put an offer in, it’s simple”! And are right, it is simple. It is also simple to have a 6 pack, live an Instagram worthy life, and live on the beach for the rest of your life; it’s just not easy (ok fine, maybe beach life would be easy). It’s not easy because it takes a tremendous amount of work to east the right food consistently, do your hair and make up and find the perfect scene, lighting, and timing for that photo, and find the perfect spot to put your beach chair to enjoy the ocean sunset with your favorite cocktail (That one’s not hard). Now apply the “It’s simple, but not easy” principle to finding a rental. Before you go looking at condos, ask your boss for your letter of employment (with your salary), get a copy of your full credit report, make sure you have enough for your first and last months deposit, and fill out the rental application. Do the hard work now and enjoy the sunset on the beach later. Move like the Flash, Fast! Remember when your parents told you the story of the tortoise and the hare? I can still hear my dad telling me “Zev, be the tortoise”. Let’s recreate the tortoise and the hare story in the context of the condo rental market. The tortoise is someone who looks on realtor.ca and ottawascondominiums.com periodically to find the perfect condo. They look at a new unit from time to time, ask to see a unit they like at their convenience, take a few days to figure out when to see the unit and think about putting an offer in for days. Fast forward to the hare. They are constantly checking new rental inventory through the internet, OC building alerts (shameless self-plug, but they really work), auto-searches, and hounding their agent for new units. When they see something they like, they book a showing same day and make a decision on the spot. Guess who wins? Finally, the hare! All jokes aside, we hate when people put pressure on us, let alone our clients. This is a stressful process. 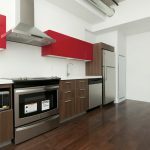 There are units in certain buildings (TriBeCa) that get listed and rented in a matter of hours. We want you to have the full picture of the market so you can make the most informed decision. No one wants to lose their perfect condo by not knowing how fast the market moves. Fortunately, there are times when being the hare actually works, thank you Ottawa Rental Market! Full price offers don’t matter in this rental market. Chances are if you have followed the advice in this post, and you’re preparing an offer; someone else is too. Yay, multiple offers on rentals! When your fortunate (not really) enough to be in this situation, the Landlord has all the control in the world. They choose which offer they want. Now, before I go into details on incentives, I want you to debunk one myth. Myth: because my offer is exactly what the Landlord wants, I have perfect credit, and a great paying job; the Landlord will pick me. I had a client that had to learn this the hard way. We got into a multiple offer scenario and advised him on which incentive to use to get him the unit. He flat out refused to offer anything else. I asked him how come and he said, “Because I’m me and I’m a great tenant”. I don’t know if there is an emoji that can effectively sum up how I felt when he said that. Anyways, his offer didn’t get accepted. But, as it turns out, the advice I gave him was right and it was the exact same advice the other agent gave to their client who won the unit. Ok, now that you have hopefully felt the excruciating pain of that story, here are my quick thoughts on what incentives to use. First, move in date. If you are competing with someone else, chances are you can get a quick win by moving in as soon as the unit is available (especially if the move in date is in the middle of the month). Second, add an extra few months or a year on to your lease term. This works well between November and February and when you find a sought-after unit in a popular building. No one likes looking for a condo rental or renting a condo in the winter. Inventory is low, tenant selection is lower, and you have to move in the snow. It’s a win-win for both parties. Finally, money. I’ll save you listening to the theme song from the apprentice. Bottom line, every Landlord likes more money. Typically, a 1.5%-3.5% over ask offer should do the trick. You can mix and match these incentives as you please to get the unit you want. Sometimes it’s better to pay a little more for what you want. As one of my client’s famously said, “I’ve seen enough condos to know, that I don’t want to keep looking. I’m happy to do what it takes to get this condo”. Overall, the rental market is going gangbusters and we don’t expect it to stop anytime soon. Please use this as a guide to help you navigate your search. Should you need any assistance finding a condo rental in Ottawa, feel free to reach out to one of our Condo Pros. 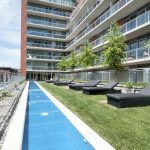 Game-changing condos in Ottawa are creating an urban lover’s dream, an oasis in the midst of the nation’s capital. Breaking off from the ordinary condo lifestyle and taking it to the extraordinary. Defying the traditional, throwing away the old and tiring, offering more than just a place to sleep at night, these condos are breaking all the rules and changing the game entirely. Luxury, modern, fresh, vision-driven, and where the first-class service is the name of the game. These condos are redefining the whole market. 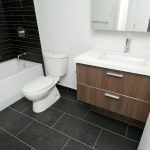 Condo living is being transformed and revolutionized right before our very eyes here in Ottawa. So, what new condos are breaking all the rules and changing the game in Ottawa? Keep reading to find out the price per square foot of these game-changing condos in Ottawa! Become a resident of Island Park Drive and experience the epitome of luxury and some of the finest living Ottawa has to offer. 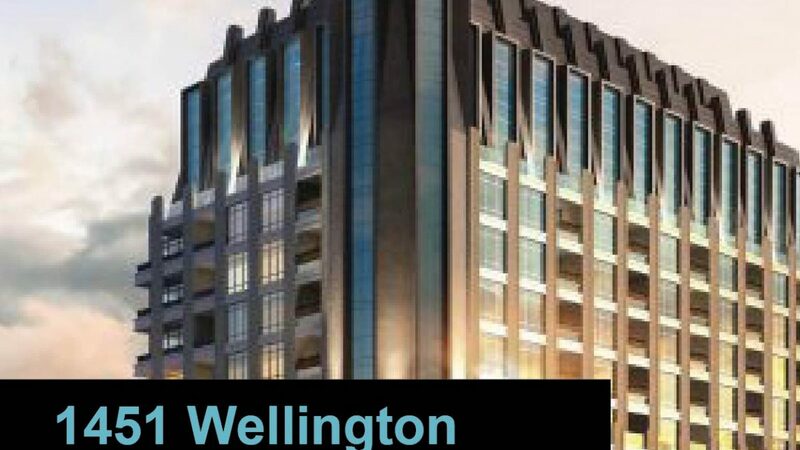 1451 Wellington is changing the game of condo living here in Ottawa and for good reason. What sets this building apart from every other condo in Ottawa? Not only offering its residences a home located in the heart of two of Ottawa’s trendiest neighbourhoods, Westboro and Wellington West, but residences also have restaurants, coffee shops, grocery stores, fashion boutiques and more just steps outside their front door. Just by looking at this magnificent structure you know its different than the rest. You can tell this building exudes excellence, actually more than that, you can feel it. That isn’t a surprise though since excellence is what Mizrahi Developments vision was from the start with this project. Exuding excellence from inside out, Ottawa has never seen such luxury in the condo world before. From valet services, concierge, car washing services, an elite fitness room, a saltwater lap pool, guest suites, entertainment suites and much more, living has never been easier or more fabulous. Coming home at the end of the day has never been more enjoyable when you know you are coming home to a luxurious and pristinely maintained environment, where the only thing left for you to do is kick your feet up and relax. Understanding that every resident has different needs and lifestyles there are plans to accommodate each need, and the option to customize – making your home uniquely you. Pristine 1-bedroom suites are $838/sq ft, while 1-bedroom plus den are $768/sq ft. 2-bedrooms are $897/sqft and if you need a little more room, there are also options for 2-bedrooms plus den for $900/sq ft, rounding out the building average to $850/sq ft. With custom options, high-end finishes and top of the line builds, where even the smallest details are treated with great care and precision, helping residences create their very own sanctuary in the sky and setting the bar extremely high. This development without a doubt has capitalized luxury living in Ottawa and no detail goes unnoticed, making it one of the leading and premier condos in Ottawa. 1451 Wellington is a game changer, leaving behind the ordinary and inviting you home to the extraordinary. 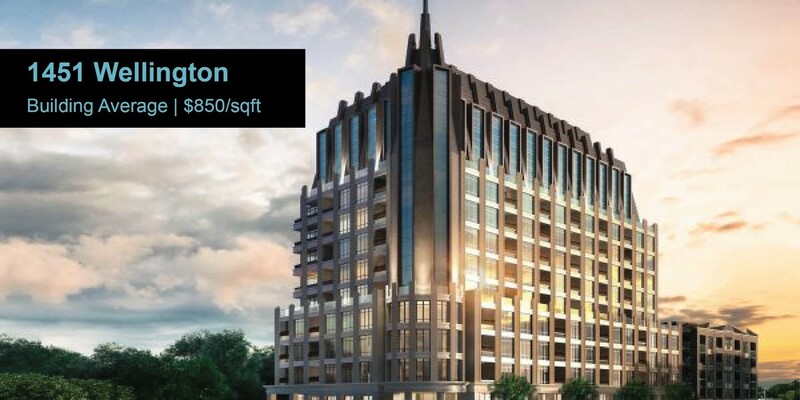 Claridge Icon happens to be the tallest residential tower in Ottawa but that isn’t the only reason it’s setting the bar high and changing the game in condo living. The exterior alone sets this condo apart from the rest of the city. This building’s architecture is rich with symbolism and creative genius, which is no surprise considering it is a build by one of Canada’s lead architectural firms, Hariri Pontarini. The exterior balconies and building curves are inspired by the swaying reeds on the banks of Dows Lake. And creative and intelligent design from the street view gives passerby’s an illusion of the building shifting and expanding, this fact alone sets this build miles apart from other the other condos in the city. Claridge Icon is a show stopper, there is no doubt about it and residences are graced with an artistic and grand design. Modern, bold and exceptionally crafted, residences are truly living in a piece of art within the nation’s capital. Leading the way in terms of residential building design in Ottawa this project is proving that a building is more than just four walls and a roof. Not only aesthetically on top of the condo game in Ottawa but it doesn’t stop there for this development. Offering its residences, the best and finest amenities in condo living; a yoga studio for the yogi, a fitness centre for the gym goer and an indoor pool and sauna to be enjoyed at the leisure of each resident. Entertaining has never been made easier with guest suites, a movie theatre and indoor and outdoor party space, making it perfect to host at any time of the year! The developers knew exactly what it was people were looking for when they started this project; offering urban living in the heart of Little Italy, while also providing coveted serene green space for residences to relax and enjoy, all only at a hop, skip and a jump away. Beautifully crafted, carefully designed and impeccably executed suites make it easy to fall in love with this place. Tastefully and classy 1-bedroom suites average $598/sq ft and a 1-bedroom plus den averages at $592/sq ft. Residences looking for a little more have the option of a 2-bedroom suite averaging $639/sq ft, making the building average $609/sq ft. A trendy, high-end build that also happens to be the tallest residential tower in Ottawa, you know the views are going to be unbeatable and absolutely stunning– and they are! Offering residences gorgeous views of Dows Lake and the city at heights you never have seen them at before. Setting the condo living bar very high (and not just referring to its height), the lucky ones who get to call Claridge Icon their home experience the new height of condo living in Ottawa. Elite and modern living (with absolutely stunning views) is made possible when you call Claridge Icon your home. St. Charles Market offers its residences a once in a lifetime opportunity to live in a Heritage Building. The fact that this building is a Heritage building means it’s already on a whole other level. St. Charles church was built in 1908 and features Quebec inspired neoclassical architecture. 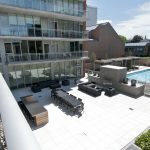 The developers have taken this beautiful and historical building and transformed it into one of Ottawa’s most desired and premier living quarters in the sought after Beechwood Village neighbourhood. This carefully crafted, and magnificently (soon to be) executed build sets itself apart in the condo market and all of the real estate markets for that matter, by putting design at the heart. Melding history with contemporary has been done before but no one has done it quite as exceptional as this and Ottawa better watch out. A seamless blend of new and old with a primary focus on respecting the church, this project offers a historically rich and welcoming environment, making it the kind of place you’d want to call home. Other condos offer a place to sleep but St. Charles Market offers, history, heart and community. With only 50% of the land utilized for building with the rest dedicated to providing the residences and the community something more than just another building. A beautiful garden and park like border around the building bring an air of calmness and beauty to the hustle and bustle of the city reminding everyone who passes by that even while in the middle of the city it’s still important to take time to stop and smell the flowers. Leading in the condo market for the uniqueness and creativity, offering exquisite horizontal suites that give residences that full home feel that can often be missed when living in a condo. Offering outdoor space, an elite fitness room and a welcome lounge to gather, again proving that community is at the heart of this development, making it so much more than a condo but a place you can gather and call home. Offering something for everyone and their lifestyle with a wide range of floor plans. 1-bedroom averages around $559/sq ft, a 2-bedroom $567/sq ft and a 2-bedroom plus den $560/sq ft. Also providing 3-bedroom units averaging $583/sq ft and a Penthouse at $790/sqft, rounding the building average to $611/sqft. Each suite offers finishes that provide both function and beauty as the developers are adamant on providing finishes that speak volume about the quality while still maintaining a high integrity of design and style. 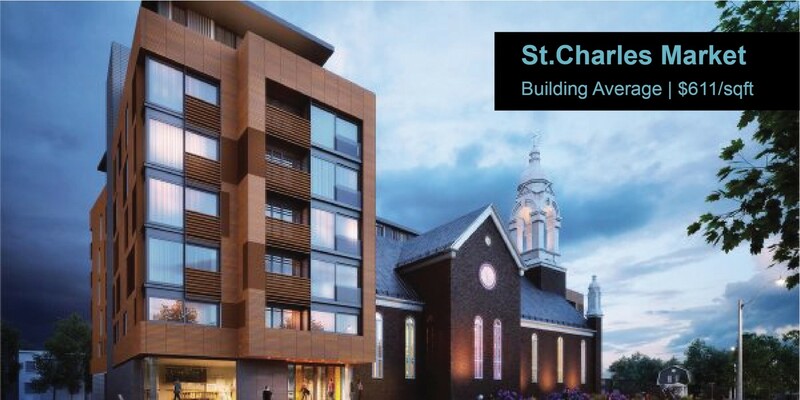 St. Charles Market is something you’ve never seen before and Ottawa is watching closely because ready or not, this place is going to revolutionize condo living, bringing more community, heart and impeccable design than we’ve seen before. SoBa or “South on Bank” is not merely just a condo development, but something much more. This project is full of so much heart and vision, it’s inspiring. 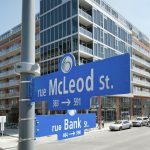 Taking unused and unwanted land and giving it a new lease on life, this heartfelt development is redeeming and reinvigorating a little part of Ottawa. This build is giving us a new lens to look through – to see beauty where there was once nothing. The passion behind the concept and vision of this build is already more than most. Just give it time and developers will be lining up asking SoBa just how it did it and how they can also contribute to the betterment of the city. The heart and vision behind this project alone are changing the condo game in Ottawa, but that’s only the start of what they are bringing to the table! Finally, what Ottawa has been waiting for, what Ottawa has been asking for, it’s here. Downtown Toronto finally comes to Ottawa! This project is bringing something new and something fresh to the nation’s capital. 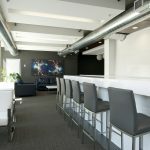 Not only is it bringing life and new energy to the Bank Street area, but it is also bringing downtown Toronto to Ottawa; with that same feel and energy SoBa is already changing and leading in the Ottawa condo market. 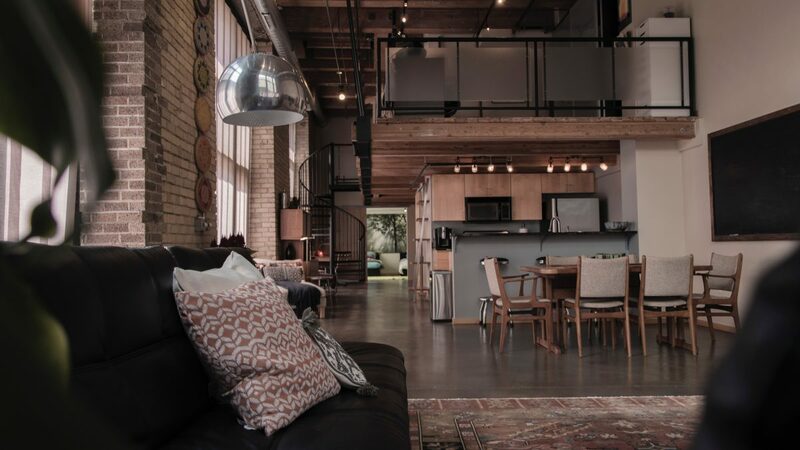 With floor to ceiling windows, exposed concrete ceilings and an exposed concrete feature wall with columns, it has got the coveted industrial vibes down to a science. Bringing a whole new energy to the condo game, Ottawa couldn’t be readier or more excited to spice things up. From blah to brilliant and tired to trendy, SoBa has a vision for Ottawa and it is coming to life right in front of us. Not only is this building the trendy it place to live, but it also offers a wide range of suites from 400 sq ft up to 1,200 sq ft, meeting every need, making it even more desirable than it already is. On average a 1-bedroom runs $536/sq ft, 1-bedroom plus den $526/sq ft, 2-bedrooms average $539/sq ft, 2-bedrooms plus den $522/sq ft and the Penthouse units average $670/sq ft – rounding the building average to $558/sq ft.
From the awesome location in Centretown just off of bustling Bank Street to the modern and chic game-changing ways, this development is going to be the trendy it place to live in Ottawa. Guaranteed. 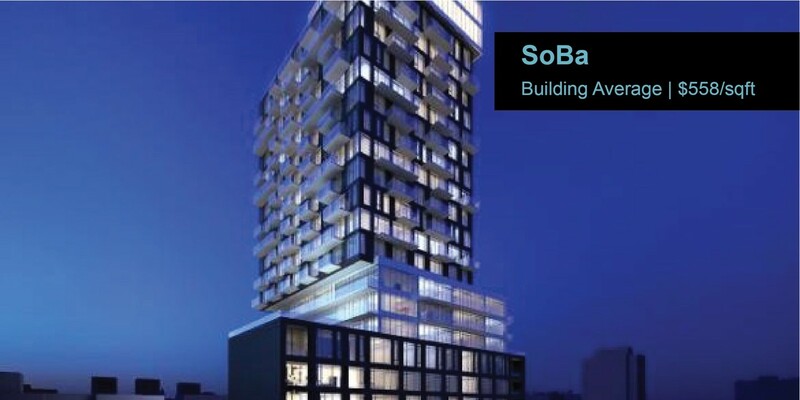 Bringing a whole new vibe and atmosphere to the Ottawa condo market, SoBa creates that energy, that vibe, that feeling you get when the fit is better than just right, it’s perfect – all while bringing a little more love and beauty to the city. Finally offering the people of Ottawa something more than the traditional and breaking away from box like attitudes of many developments. These condos are revolutionary, ahead of the times and creating a whole new way to live in Ottawa. Defying the conventional and bringing a whole lot more to the table, Ottawa better be ready because these condos are bringing a whole new game to town. No, Not literally. Although we can’t be blamed for seeing smoke emerging from the city’s hot housing market. It’s a great time to be in the 613. It’s an even greater time to buy a house within the boundaries of Canada’s great capital. In the last couple of years, Toronto and Vancouver have been hellish for prospective homeowners. Soaring property prices in these two cities and hefty taxes mean most adults who live in either city can only dream of having a place they can call their own. Those who persevere are often priced out of the city and are forced to make long commutes to their businesses and families elsewhere. In comparison, Ottawa’s market seems like a calm oasis. And it keeps getting better. House and condo sales are on a steady rise, increasing year over year in the city. In 2017, there were 17,803 home sold. That’s a 10 percent increase. Condo sales also saw a 22 percent sales gain. The fact that residents are scrambling to own their own homes in Ottawa is due to a myriad of factors. While Ottawa does provide some of the big city life, it has managed to preserve the small town feel that makes people so comfortable settling down here. At the same time, the city is welcoming exciting changes like a new light rail system which will make it possible to reach opposite sides of town in under 30 minutes. Residents are also earning steady wages as a result of a booming economy, and big businesses that balk at Toronto’s eye-watering rent prices are setting up shop here. It also means longtime Ottawa based corporations are expanding as a result of the economic stability they are enjoying. 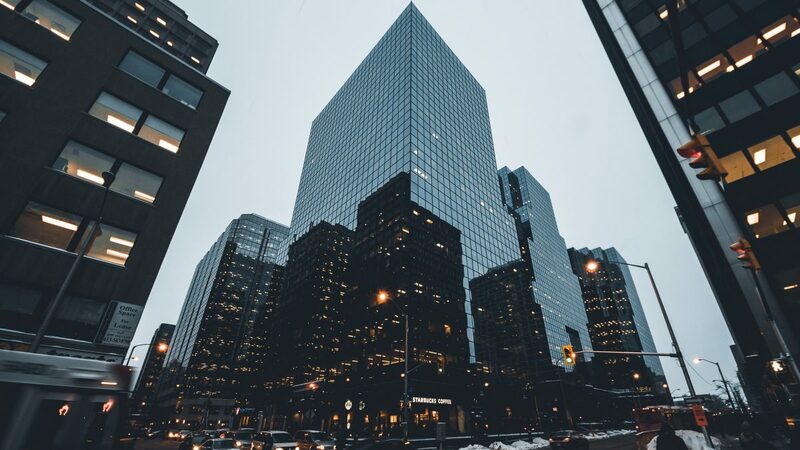 For instance, the online retail software company, Shopify, recently tripled the size of its Ottawa headquarters and major retailers like Tiffany and Nordstrom are planning major expansions in the downtown core. Although property sales in the city are increasing, the prices have remained relatively stable, meaning individuals who could not dream of owning homes in cities like Toronto and Vancouver actually have a chance to do so here. If you’re a prospective buyer with deeper pockets, Ottawa still has the home for you. With an astonishing number of millionaires living in the city, it’s no surprise that luxury properties in exclusive areas have sprung up to meet the demand. Individuals hoping to purchase homes valued at $1 million or more will find they’re spoiled with choice. According to economists, Ottawa’s real estate market won’t be slowing down anytime soon. With a strong economy and steady prices, we’re bound to enjoy Ottawa’s steady growth for years to come. A major announcement on the new Lebreton Flats Development is expected according to sources involved in the talks between the RendezVous LeBreton Group and the NCC, a tentative land deal has been reached over the future development of Lebreton Flats – ottawacitizen.com. The Lebreton Flats Development, which is planned to have over 4,000 housing units, a major public square, and a landmark new hockey arena, has an estimated price tag of over $3 billion and will without a doubt have a huge impact on the City of Ottawa. 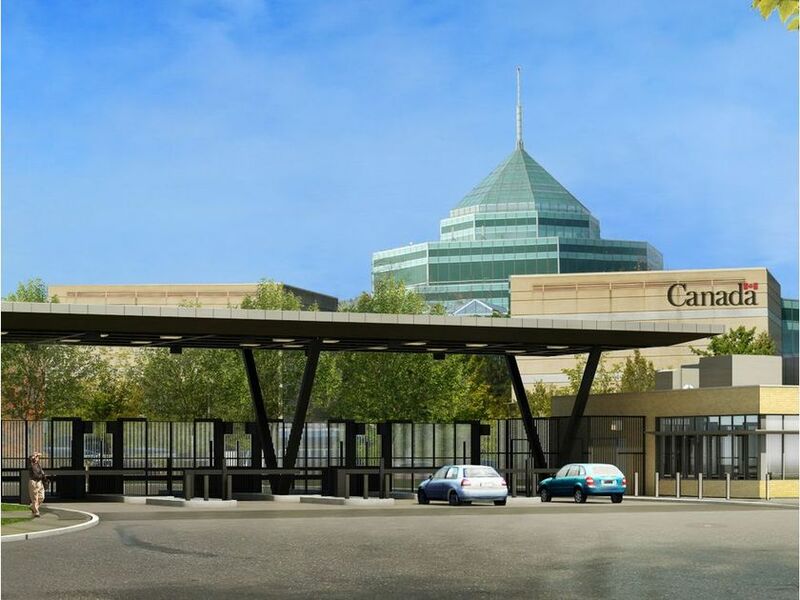 Some may question the significance of this project and whether it’s the best use for this highly coveted piece of Ottawa real estate, as well as whether taxpayer dollars should be spent on the infrastructure to support its build out. I stand to argue that this project is one of, if not the most important development projects needed for the City of Ottawa in recent years. Let’s think BIG PICTURE. What is it about a centrally located arena that adds value to a community? – The Economic Case for a Downtown Event Centre. For starters, having an event centre that is located in an area that is equally accessible to those in both the West AND East ends of Ottawa improves the quality of entertainment and ensures a strong fan base for attendance at the games. Yes, this is a money-making entertainment business and in order to deliver a high-quality entertainment product, a revenue stream from a strong fan base must exist. Locating the hockey arena on Lebreton Flats Development will create equal accessibility for Ottawa area residence and along with the restaurants, shops, and more expected to be built alongside the arena, create a more appealing atmosphere of complimentary service businesses to attract a larger fan base to games. My second point surrounds the issue of smart urban planning and efficient use of taxpayer dollars. A city cannot be sustained by spending endless sums of money building new infrastructure further and further out into untouched farmland, which is what Ottawa has seen for far too long now. 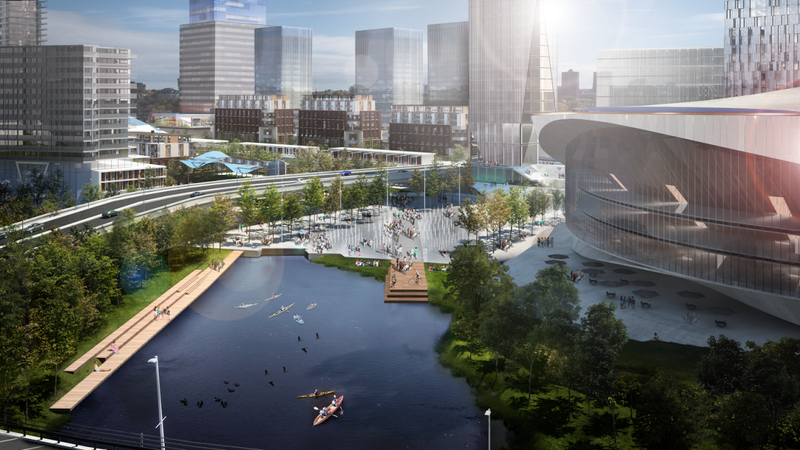 Urban intensification is now a widespread phenomenon across North America, and it’s happening to lessen the burden on cash-strapped municipalities. Yes, there will be those who protest “not in my backyard” but the reality is, development always occurs in someone’s “backyard”. Another positive outcome from this development will be the 1,100 affordable housing units that will be integrated into the RVL project and will help lessen the burden on the cities 10,000+ waiting list for affordable housing. 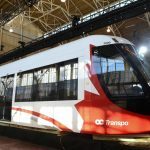 Ottawa’s new LRT line will also play a huge factor in creating and sustaining this new community – the Lebreton Flats Development will attract big Ottawa commercial real estate investments. With the line running directly through Lebreton Flats, residents will have a very convenient alternative method of transportation to get around, and with that creating an overall healthier environmental footprint for the city. The upside of RendezVous LeBreton and the number of Ottawians that will gain enjoyment from its new urban housing options, entertainment offerings and commercial spaces, far outweigh any downside. With a major announcement on the new Le coming, let’s be of the mindset of one wanting to continue to grow into a world class city and to welcome RendezVous LeBreton as the next step on this path. Investors across the country have taken note of student cities and have begun purchasing condos and renting them to students. 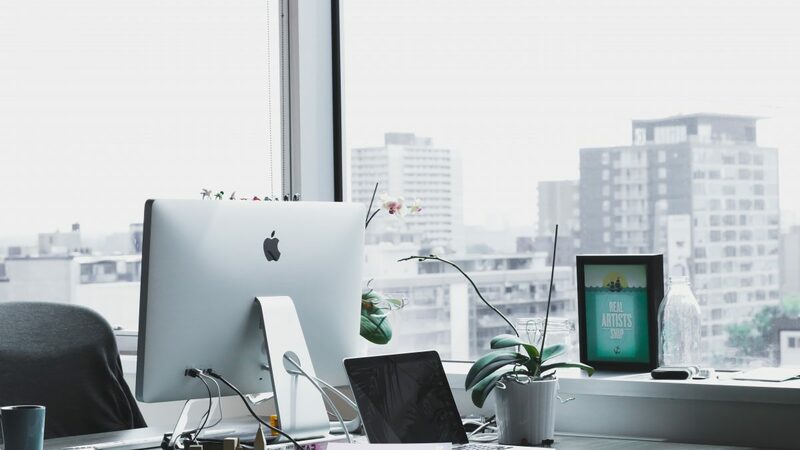 With the number of enrolled students across Canada on the rise and the cost of an education reaching new heights, investors should definitely consider this strategy of entering the student condo market. Since 2000, the number of enrolled students across Canada has grown by 44%, reaching more than a million, according to the Association of Universities and Colleges of Canada. The cost of an education in Canada is also on the rise. Investors catering to this market are aware that they are renting not to the poor student, but effectively, to their wealthy parents. These are parents who are more and more prepared to pay a premium to ensure that nothing gets in the way of their children’s education. In fact, the key to building a profitable and manageable student-housing portfolio lies at the high end of the student condo market. These property types are a great option to both student and their parents for a number of reasons. 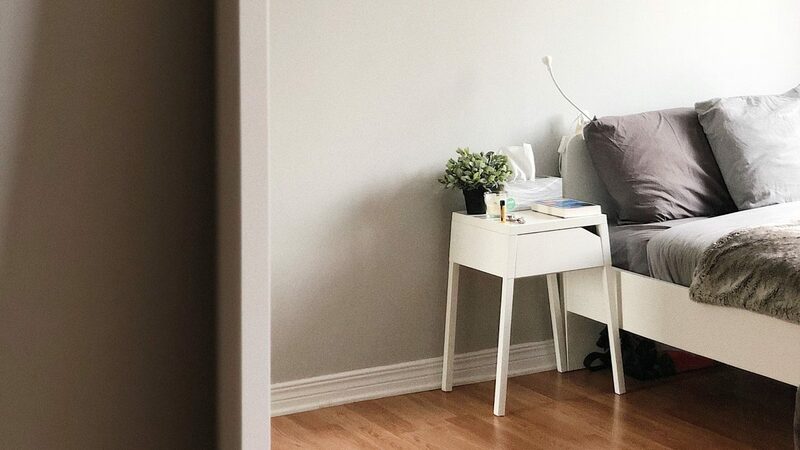 Student condos and purpose-built apartment buildings have cameras in all common areas, as well as onsite staff, which gives parents peace of mind. They also have security systems to control entry, as well as 24/7 video monitoring that protects the premises. Managing 18 and 19-year-olds who are enjoying their first taste of freedom can give Landlords a headache worse than a morning-after hangover. But you can eliminate this burden by having a professional property management firm handle your rental property on your behalf. All the maintenance is handled by the condo, including snow removal, gardening, and cleaning common areas. Condos are a preferred structure for municipalities. Compared to illegal rooming houses, this structure ensures the building isn’t at risk of being shut down. Condos typically have fewer rooms than student houses. Fewer rooms mean fewer students per unit and a lower chance that damage and Tenant issues will arise. Condos are more desirable than larger houses with more distractions. Pre-construction condos are one of the best ways to invest in the student condo market. Purchased several years before students apply to schools, investors aren’t competing with parents on resale properties. They often come with full rental guarantees and free or low-cost property management, making them a hands-off investment option. Just like any other profession – no two Home Inspectors are created equal. Always be sure to research a variety of professionals. Find out how they report back results and determine their level of knowledge with the type of home they are inspecting. You want someone who will take detailed notes and pictures, provide guidance, and take the time to explain the various concerns/benefits of the home. The neighbourhood in which a home is located in is often ignored. The focus is usually on the features of the home, but what about access to transit, schools, shops, and highways? How do the other homeowners maintain their properties? Is the area in a state of growth, stability, or decline? Does the house conform to the general area? Is it the worst or best house on the street? All of these factors can impact not only the current market value but its anticipated future value. A number of local real estate markets across Canada are experiencing high buyer demand with relative lack of active listings. Typically, this trend will push home prices upwards. This is often compounded by homes that are being priced below market value, and sellers not accepting offers until a specific date. The purpose of these selling strategies in a hot sellers’ market is to encourage multiple-offer situations. All too often, the end result is a buyer paying too much for a home. As a homebuyer, be prepared to walk away from such a situation. Allowing your emotions to rule your thinking may end up costing you more money than you should be otherwise paying for a home. Home buying should involve the process of elimination, not addition. It’s normal to begin the process with a fairly broad set of criteria in terms of home features, location and cost. Once you’ve had the chance to view a couple of homes and build your knowledge base, then it’s time to make some decisions. The more focused and efficient your search is, the more you’re likely to find the home you actually want. When search criteria are too broad, we tend to get overwhelmed and have difficulty making meaningful decisions. As in the case with every professional service provider, not all REALTORS® are made the same. Do your homework. Review REALTOR® websites, ask friends and family and interview multiple Real Estate Sales, Professionals. A referral to a reputable REALTOR® can be a great source, but just because your good friend has a parent in the business doesn’t mean they’re a good fit for you. Keep these five common mistakes home buyers make in mind when you are looking for your next home. Members of the Ottawa Real Estate Board sold 853 residential properties in February 2015 through the Board’s Multiple Listing Service® system, compared with 868 in February 2014, a decrease of 1.7%. In this February 2015 market update, the five-year average for February sales is 914. February’s market update noted 168 sales in the condominium property class and 685 in the residential property class. The average sale price of residential properties, including condominiums, sold in February in the Ottawa area was $358,206, an increase of 1.3% over February 2014. The average sale price for a condominium-class property was $267,880, an increase of 3.8% over February 2014. The average sale price of a residential-class property was $380,358, a decrease of 0.3% over February 2014. The hottest segments of the Ottawa market update in February were sales between $300,000 to $400,000, followed by the $200,000 to $300,000 range, and $400,000 to $500,000 range. These price ranges continue to have the highest concentration of properties sold, while residential two-storey homes and bungalows continue to have the highest concentration of buyers. Now that the Spring selling season is fast approaching it is important to consider these do’s and don’ts when selling your home. First impressions are everything when it comes to selling your home. Most people make up their mind on whether or not they like a house within mere minutes of stepping foot inside. That is why it is crucial to make sure that you, and your home, put your best foot forward. People tend to overcompensate when they know that potential buyers are coming to look at their home in the winter time. They crank up the heat to make the place warm and welcoming – but that can backfire. The air will be dry and stale, plus buyers will probably be too warm, as they will be bundled up in coats. To solve this problem, keep the heat at a reasonable setting and have your humidifier set between 40-60 percent. 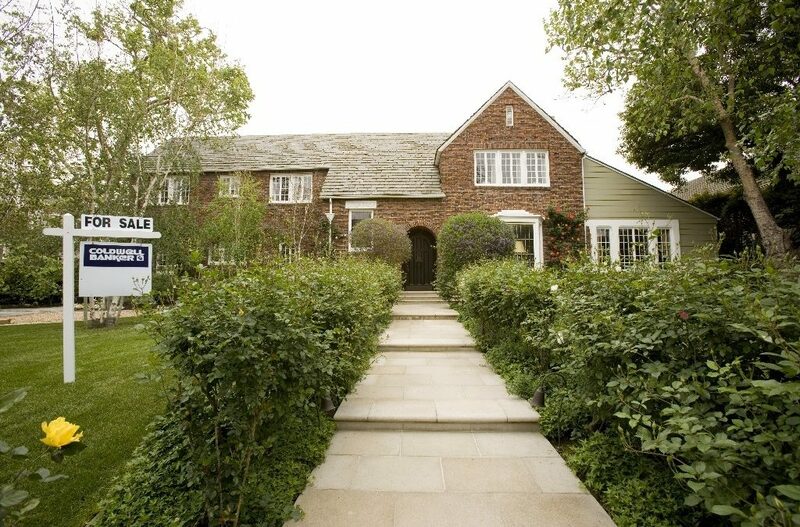 Curb appeal is a huge draw for buyers, even in February and March. Consider creating a winter planter with cold-weather plants like winterberry, holly or noble fir. At the very least, invest in a new doormat and keep the driveway clear of ice and snow. Warm lights glowing in the window will also be welcoming. If you have a crazy colour choice in one or more of your rooms, you might think that people will look past this, but that can prove difficult for buyers. Bright paint and wacky décor choices will make them uneasy, no matter how beautiful your home. Paint over wild colours and put away any crazy items that might garner a laugh or a raised eyebrow. People will pay top dollar for homes with updated kitchens and bathrooms. If you can make even the barest improvements to these rooms, you will see a huge return. Update the yellowing tile in the bathroom or invest in new cabinetry. At the very least, purchase new shower curtains, bath rugs, and the like. Open all curtains and turn on all the lights, even if it is the afternoon. Replace all dead light bulbs. Crack open doors to the pantry or laundry room so people won’t be afraid to peek inside. And tidy up in forgotten places like inside the fridge or oven. People will be looking in there, and if they see mould or burnt food, they will be very turned off. Hideaway Condo Ottawa or ‘Hideaway at Central’ is now gearing up for final closing and title transfers. This is when the units are officially transferred from the Developer to the Purchaser. The latest updates from the Developer are estimating a registration and final closing date of April 25th, 2015. Hideaway Condo Ottawa has been in interim closing since November 2014. Interim closing is the time in between when occupants begin moving into their units and when they officially close on the unit (title transfer date). During this time the soon to be Owners pay the Developer a fee for access to their units. This fee is a sort of rent and is comprised of property tax, interest, and condo fees. This fee is not credited back to the Purchaser on title transfer date. 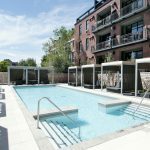 In case you are not familiar, Hideaway at Central is the final part of a three-phase condominium building developed by Urban Capital in Ottawa, ON Canada. 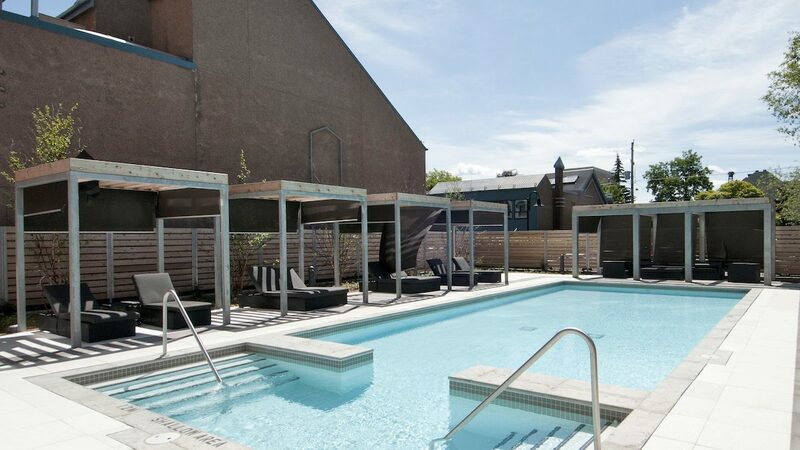 The building is jam-packed with amenities and located in the trendy Centretown neighbourhood. The amenities include an outdoor pool with cabanas, a large BBQ at the terrace, a gym, media room, concierge and a party room. Hideaway at Central is the third phase of the Central condominium development in Ottawa. Central Phase 1 Condo Ottawa is freestanding building between Gladstone Ave and McLeod St. Just across McLeod St, Central Phase 2 Condo Ottawa and Hideaway Condo Ottawa stand. Central Phase 2 Condo Ottawa and Hideaway Condo Ottawa are connected. 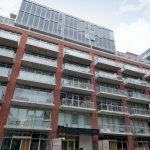 Despite the buildings being separate and unique condo corporations, Central Phase 2 Condo Ottawa and Hideaway Condo Ottawa do share a few common elements. Namely the outdoor swimming pool and the common terrace. These shared elements are documented in the condo bylaws. Units are priced between $220,000 and $420,000 and typically rent in the range of $1400 – $2300 per month. In the Hideaway Condo Ottawa, the smallest one-bedroom floor plans are branded as the ‘Blue Palace’ units at 410 sq ft. One of the more mid-size and likely the most popular floor plans are the ‘Lalu’ units at 609 sq ft. There are always units for sale and also for rent popping up between these three buildings. If you or anyone you know is interested in these developments, please reach out to us!